Judas was one of the Twelve Apostles of Jesus Christ. When Lisa revealed a magic trick she tried on Homer, he cheered her up by saying that Judas betrayed Jesus, but he still got paid. 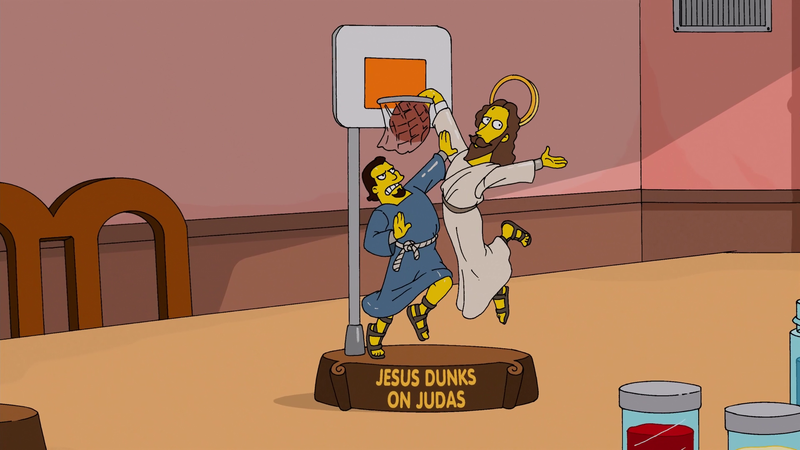 Ned Flanders made a figurine with Jesus and Judas playing basketball. Judas was in Bethlehem 90210. Modified on January 15, 2016, at 14:24.